Your ambrosial style is unmatched wearing the Michel® Deco Madison Mid Two-Tone watch. Two-tone plated metal seven-link bracelet. 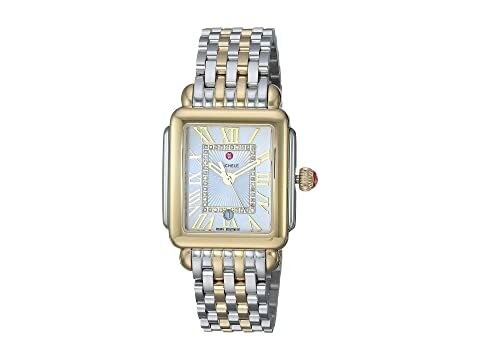 We can't currently find any similar items for the Deco Madison Mid Two-Tone - MWW06G000013 by Michele. Sorry!